Asking Brandt Henningsen about his favorite project is like asking a mom about her favorite child. Rock Ponds, of course, because it’s the largest. Or maybe Cockroach Bay Preserve, which included 17 phases over 21 years. But what about Clam Bayou, another decades-long effort in an urban setting? 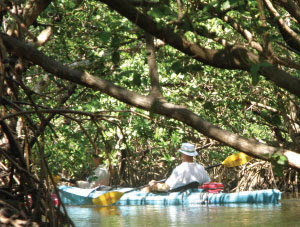 Or the long-term master plan for 7,000 acres in the Little Manatee Corridor? But don’t forget the Fred and Ida Schultz Preserve where an Audubon bioblitz last year documented more than 75 avian species and nearly 50 species of butterflies. And as he retires at the end of January, Henningsen walks away with one of the nation’s top awards for environmental restoration, the National Oceanic and Atmospheric Administration (NOAA) Fisheries 2018 Dr. Nancy Foster Award for Habitat Conservation. One of just 22 winners over previous years, the award notes that he has demonstrated exceptional achievement and dedication to habitat conservation in the coastal and marine environment. 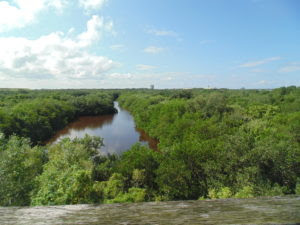 As a charter member of the Southwest Florida Water Management District’s SWIM (Surface Water Improvement and Management) program, Henningsen served as chief advisor and environmental scientist for the group that has restored more than 4,647 acres of coastal preserves covering 99 separate projects since 1987. 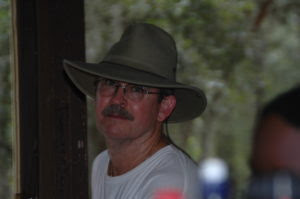 Henningsen also was instrumental in promoting the concept of restoring “habitat mosaics” for the Tampa Bay system, combining native habitats that would naturally occur together, from various estuarine ecosystems to freshwater wetlands that slowly transition to various upland habitats. Those mosaics, he adds, also will make the region’s natural habitats more resilient to sea level rise. “Anywhere we had the space, we planned ways for habitat to move upslope as necessary,” he says. When he joined SWIM in 1987, Tampa Bay was just beginning to recover from decades of destruction when valuable coastal wetlands were dredged and filled, and wastewater ran straight into the bay. Water quality was improving and the Agency on Bay Management persuaded the Florida legislature to make Tampa Bay a “priority body of water” for its new SWIM program. Over the years, he’s given more than 180 tours of restored sites, and led or participated in 138 events with nearly 2,000 volunteers coming out to transplant more than 63,000 plants on restored sites. An Eagle Scout himself, he’s also worked on eight separate Eagle Scout projects and two Girl Scout Gold Award restorations. A native of Texas, Henningsen moved to Tampa to earn a PhD in biology at the University of South Florida. His first job was in Collier County, where he thought he’d be monitoring artificial reefs but turned out to be reviewing development plans. He joined SWIM in 1987 and never left. The Tampa Bay Estuary Program will be recognizing Henningsen as a Champion of the Bay for his work within the watershed. 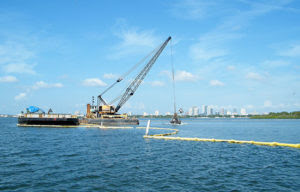 The McKay Bay dredge hole operation, funded through SWIM, Port Tampa Bay and the Army Corps of Engineers, helped restore one of the most toxic areas remaining in the bay. Photo courtesy Port Tampa Bay. 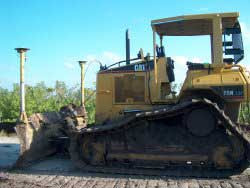 He’ll also be co-authoring a report on best management practices with Ries as part of the TBEP’s habitat master plan. “Every site has its own unique properties that makes it special,” he says. Over the years, Bay Soundings has published multiple stories on the restorations Henningsen has been involved in, as well as a profile written in our Spring 2012 issue. A story on Terra Ceia Preserve State Park appeared in our first issue while bulldozers were still pushing down thousands of invasive plants. An update was published last year. McKay Bay is one of the region’s most important habitats for birds – and among its worst toxic hotspots with sediments still containing pesticides that have been banned for decades. 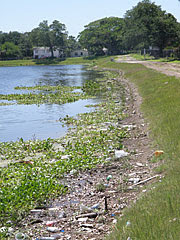 Clam Bayou is a natural oasis at the edge of an urban setting. Henningsen is particularly pleased when he meets walkers on the boardwalk that runs through it who don’t even recognize it as a restoration rather than a natural preserve. The Fred and Ida Schultz Preserve, sculpted from a piece of land created by dredging nearby flats, is now home to hundreds of species of animals including birds, butterflies, bees, crabs, spiders, mammals, snails and amphibians as well as 141 native plants. Rock Ponds, once destined to become a nuclear power plant, is now the largest single restoration project in the region. Cockroach Bay is another of Henningsen’s favorite projects. A story on SWIM’s 20th anniversary highlights the work done so far. With nearly 7,000 acres publicly owned by Hillsborough County or SWFMWD in the Little River Manatee corridor, Henningsen helped create a master plan that sets the goals for the next 20 or 30 years.